You may have been hearing some of the buzz surrounding essential oils. Are they just what you need or is it all just hype? Let's take a look at what essential oils are, what research says about their effectiveness for IBS symptoms and what you should know in terms of safe use. Essential oils are liquids that contain distilled plant compounds. The word "essential" refers to the fact that these compounds are seen as the "essence" of the plants, not that they are "essential" for health. These plant compounds are theorized to contain the chemicals that protect and enhance growth within the plants themselves. The theoretic use of essential oils for humans is that we will reap these same health-enhancing benefits. Sellers of essential oils sell products that either contains compounds from a single plant, e.g. peppermint essential oil, or a blend of various plant compounds. 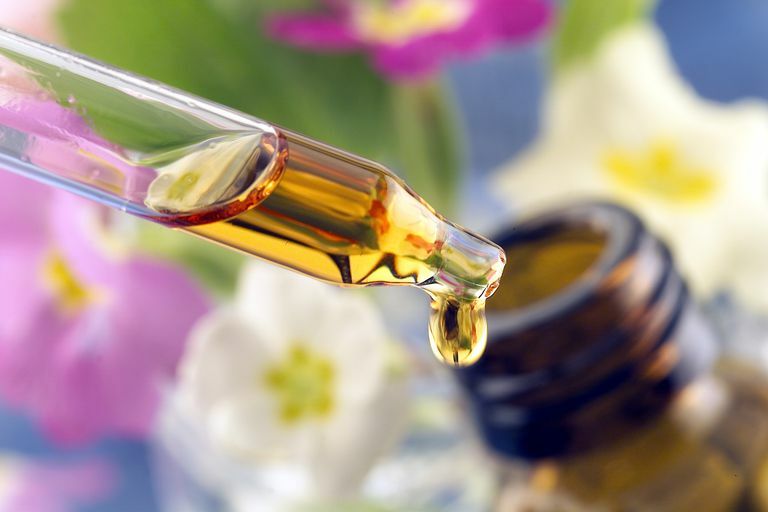 Depending on manufacturing processes, essential oil products can range in terms of the "purity" of the oil. Oils that are more "pure" are thought to contain higher amounts of the requisite plant chemicals. Peppermint: Recommended for abdominal pain and to ease abdominal spasms. Ginger: Recommended for gas relief. Oregano: Recommended for its antibacterial properties (effect on gut bacteria). Unfortunately, there is not a lot of good, quality research yet on the safety and effectiveness of essential oils for IBS symptoms. Interestingly, there is actually a little bit of research being conducted on the use of essential oils on digestive symptoms in animals as a way to reduce or eliminate the over-use of antibiotics in raising food animals. Perhaps that research will spur some human research, but for now, such research is quite limited. The shining star in the world of research-supported essential oils is peppermint oil. Multiple research trials have been conducted, with the general consensus that peppermint oil is as effective as antispasmodic medications in easing IBS pain. One interesting research report sought to analyze the antibacterial properties of a variety of essential oils in order to identify those that might be safe and effective for IBS. They did this by testing the ability of various essential oils to inhibit the growth of E. coli. Their work led them to home in on coriander seed, lemon balm, and peppermint essential oils as worthy of further investigation. These three rose to the top of the pile, if you will, due to being on the FDA list of safe food additives and because they demonstrated the most effective antibacterial qualities. Interestingly these are the three plants used in ​carmint, an herbal preparation which showed some effectiveness for alleviating bloating and abdominal pain in IBS patients in one small, clinical trial. One small, non-placebo trial evaluated the effectiveness of cumin essential oil on IBS symptoms. Of note, 5 of the 28 patients dropped out due to side effects. An improvement was seen in the symptoms of pain and bloating, as well as improvement in terms of a move toward a normal bowel habit after four weeks. A four-week follow-up showed a return of symptoms for most participants, but not to the degree of severity seen at the start of the study. Because of the potency of their ingredients, there are potential safety risks associated with the use of essential oils. However, with careful and appropriate use, such risks can be minimized. Care should be taken in terms of choosing a high quality, pure oil. Before using an oil, you should do your research regarding safe use, e.g. is the oil safe for internal use, external application or diffusion. Some oils should never be taken internally, or contain the risk for skin irritation if applied topically. Other oils may cause photo-sensitivity. Most oils will require dilution for topical or internal use. This means that the oil is mixed with a "carrier oil", such as olive oil or fractionated coconut oil. The bottom line is to be sure to do your research and check with your doctor, before using any essential oil. Note: The author has a Wellness Advocate account with an essential oils manufacturer.